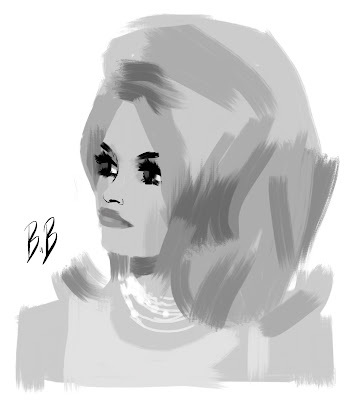 B.B on Ipad while listening to one of my favorite Serge Gainsbourg song - B.B Initials. Love sketch Stef - which app was it? Wow! This is a wonderful drawing. Fantastic!